Phoenix, AZ, WPH Press, 12/13/17- Members of the Arizona State University Sun Devil Handball Team visited two local high schools this week to mentor the students on handball and the importance of education. 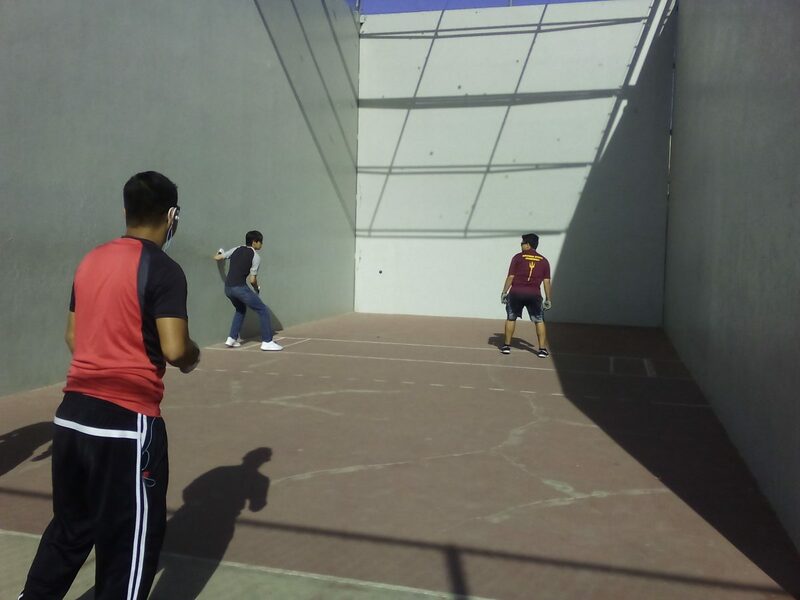 The format was 3-wall doubles with eye guards, gloves and small balls being used for all events. For some of the high school students, it was their first or second time playing with the small blue sphere. Each doubles team was comprised of one ASU student and one high school student. This allowed the Sun Devils to encourage and instruct the high schoolers on proper small ball techniques. Coach Chris Hogan helped organize the event at Carl Hayden HS and was enthused with the outcome. “It was great to see our players competing and learning small ball from the ASU students. 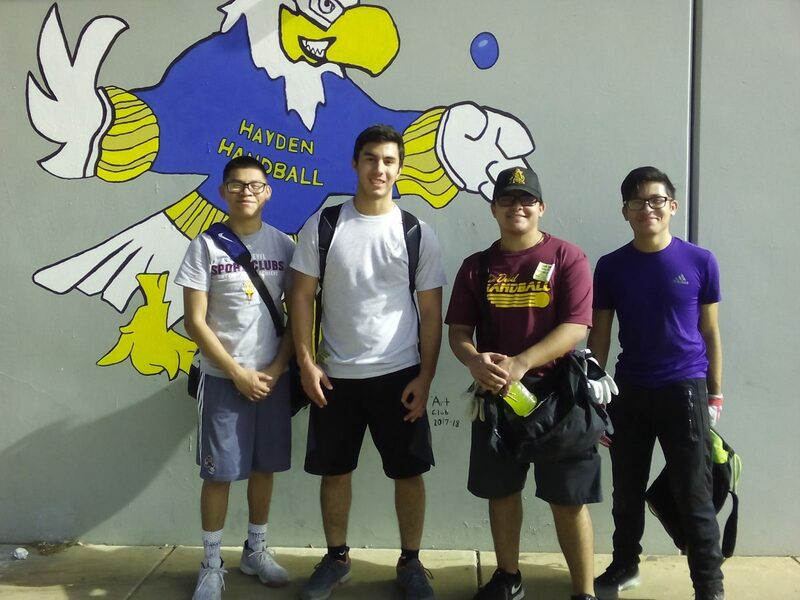 It shows them what is possible if they put their mind to it.” Local coach Don Stewart was on hand to offer encouragement and pointers to the students and noted “the Falcon Handball Club continues to improve.” Sun Devil Juan Valerio is a former student of CHHS and commented that he really enjoyed visiting his alma mater. The Camelback HS event was made possible through the efforts of Sponsor Kathryn Wagner, Athletic Director Steve Kuipers and Coach Jim Reitmyer. Two Sun Devils are former Camelback Spartans: David Frances and Esteban Morales. They enjoyed being on their old campus and playing with – and against – their old schoolmates. The Sun Devils have begun planning a small ball tournament at ASU for the spring of 2018 and will make sure to invite the high school students from the Phoenix and Tucson areas.